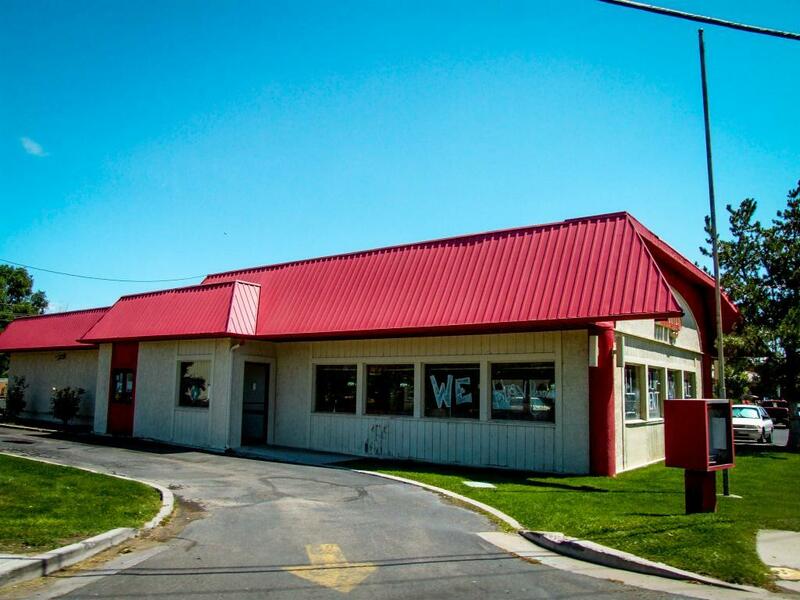 Fast food restaurants come and go. That’s fact of life. Sometimes they seem like they’ll be there forever, especially the big chains, but they can be victims of the economy just like any other business. 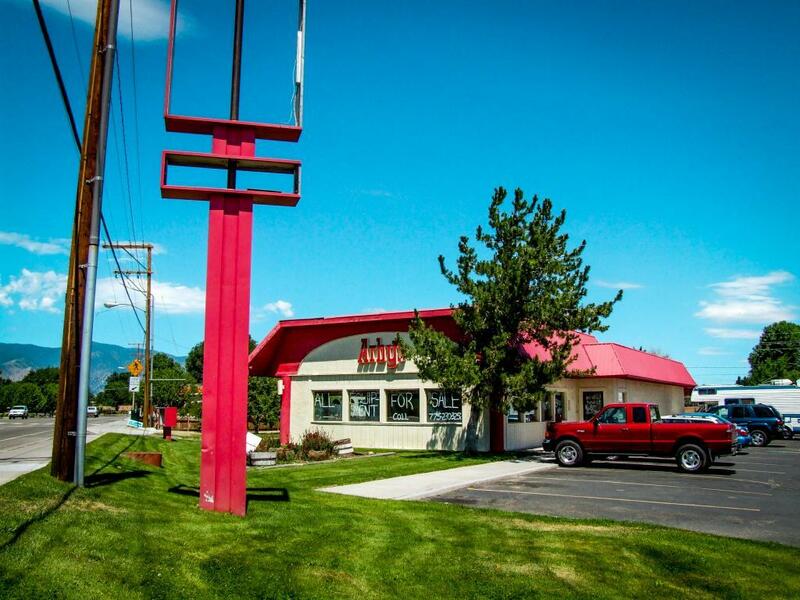 For a couple of decades this Arby’s sat in the parking lot of the Raley’s supermarket in Gardnerville. 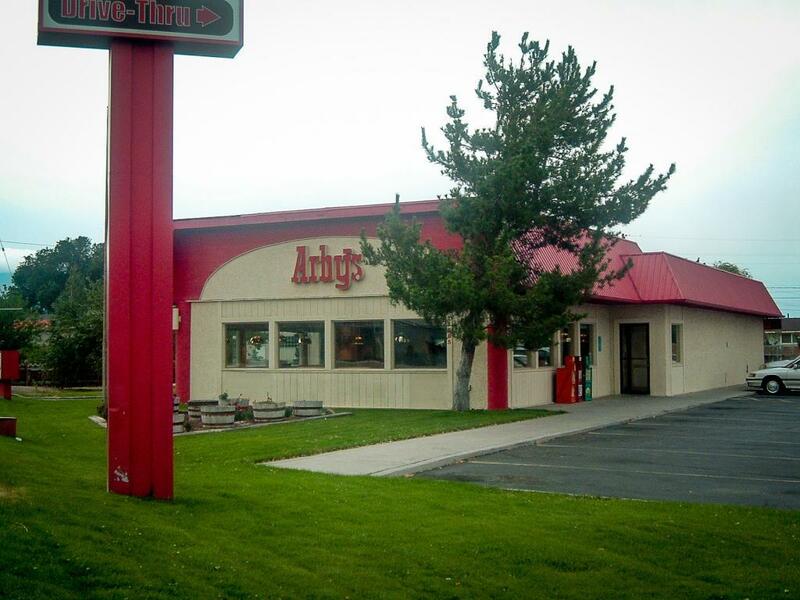 Many people who lived in Minden-Gardnerville during the 80s and 90s will remember this Arby’s. In the early days it was one of the few fast food chains in town. 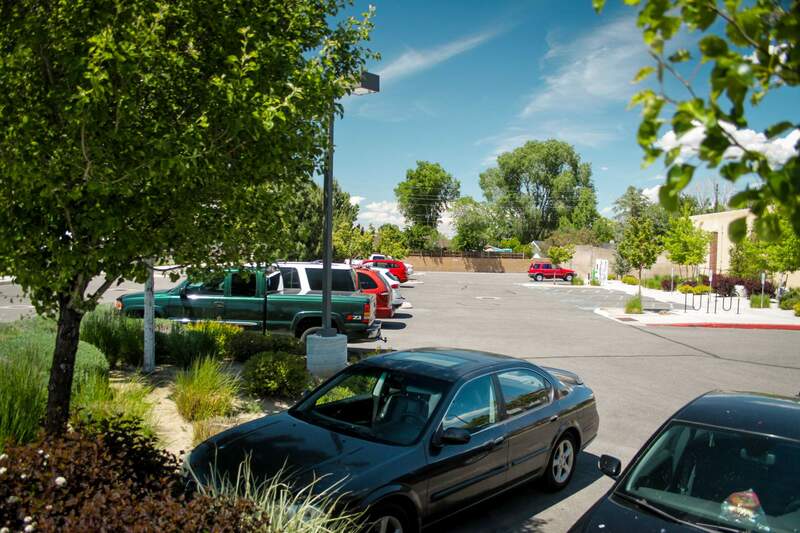 I photographed it a couple of times in 2005 as part of a photo survey of restaurants around Carson City and the Carson Valley. I didn’t know then its days were numbered. 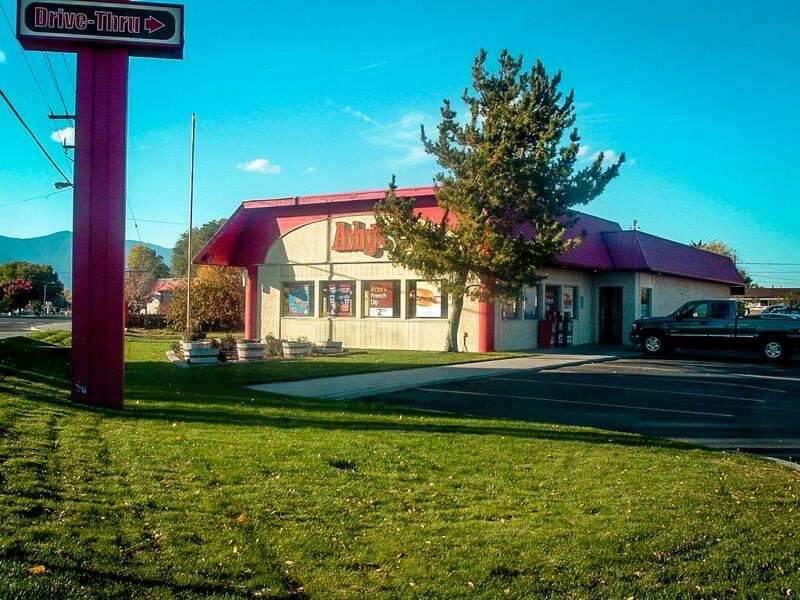 In 2006 Arby’s decided to move to Minden, building a brand-new restaurant next to the Arco Gas station, right alongside the Minden Gateway shopping center that was underway at the time. This building was left vacant and for sale, and that’s how it was when I photographed it here. 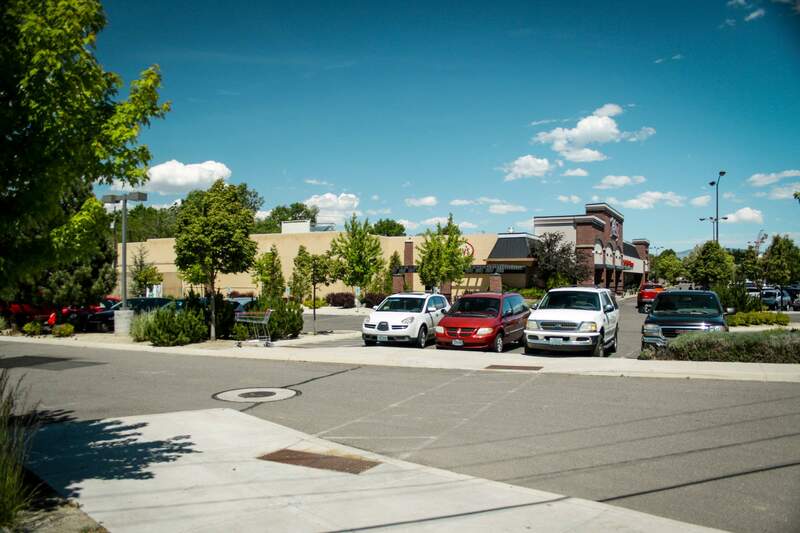 The Minden Gateway Center became a notable victim of the financial downtown of the late 2000s. The promised development was never built. 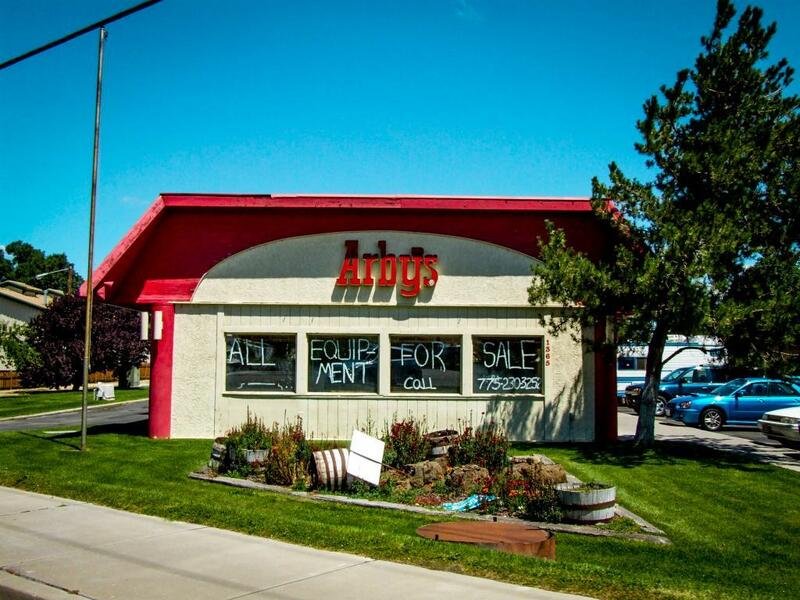 The new Arby’s did open, but business never seemed to be as robust as they expected. 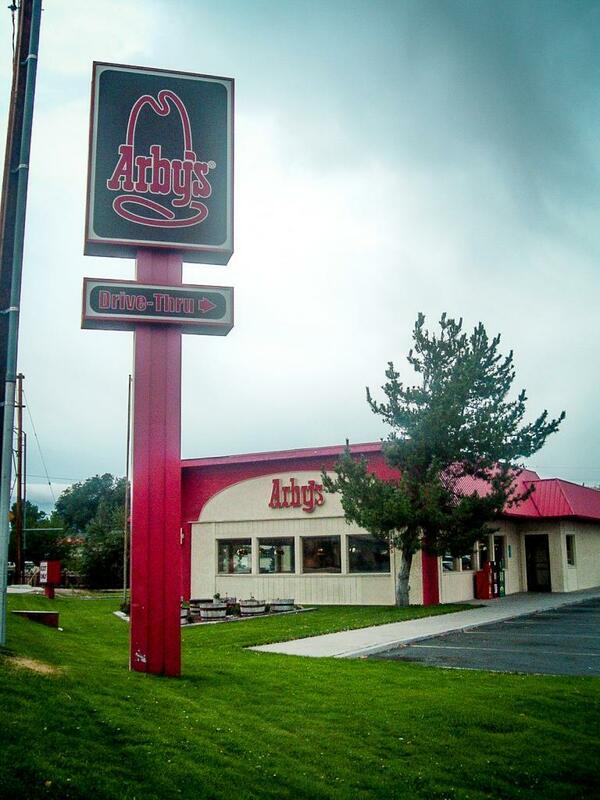 The franchise closed after a couple of years, leaving Minden-Gardnerville with no Arby’s at all. 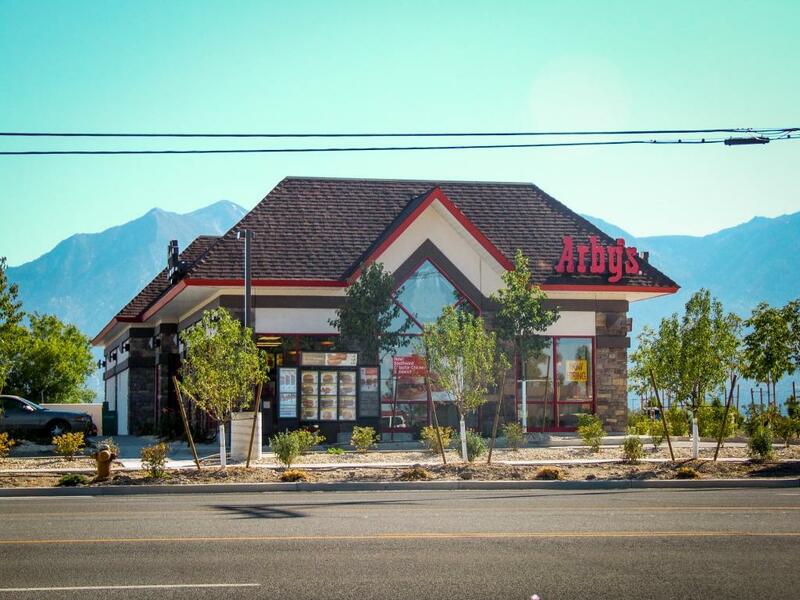 The old Arby’s building next to Raley’s was never occupied again. 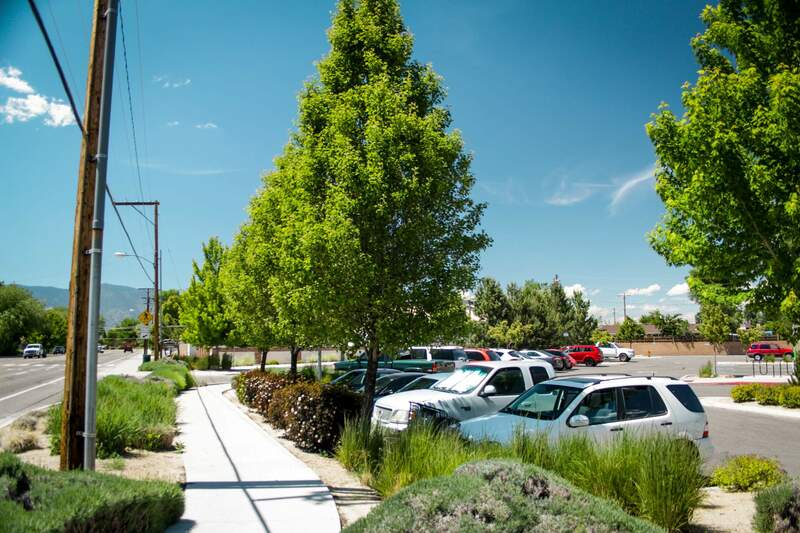 After sitting vacant for a while, it was torn down and its land repurposed for more Raley’s parking. Looking at the site now, you’d never know anything else had been on this land. Bonus Photo: The short-lived Minden Arby’s.